The Sous Vide Machine has really changed the world of cooking. More and more chefs are starting to realize how amazing this product is and its popularity is really starting to soar. 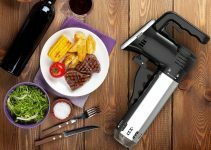 As it has become such a common feature in the kitchen, more and more products are being introduced to expand what Sous Vide cooking can do. The SO-VIDA Soud Weights are a very popular accessory that the manufacturer has introduced. What’s the purpose of these weights? To prevent the Sous Vide bags from floating up to the surface while you are cooking. For example, if you’ve ever cooked particularly buoyant veggies, like potatoes or carrots, froze meats, like salmon or steak, or if there’s ever been an excessive amount of air in your bags (which the Sous Vide vacuum sealer can help you avoid), you’ve probably noticed that your bags have floated up. Obviously, when the bag is floating, part of the contents is exposed to air, which can present a potentially dangerous situation, as the food may not be thoroughly cooked (food poisoning, anyone?). While we love the majority of the Sous Vide accessories that are on the market, such as the Sous Vide cookbook and the torch, we here at Sous Vide Wizard don’t want you to spend money that you don’t have to on products and accessories that really aren’t worthwhile. 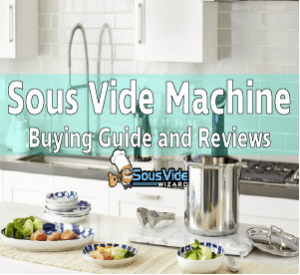 To find out if the SOUS-VIDA Soud Vide Weights are something you should invest in, we’ve done a thorough investigation of this product to help you determine if they really are helpful. After reading this review, you’ll be able to determine if you should add these weights to your collection of Sous Vide accessories. As mentioned, the SOUS-VIDA Sous Vide Weights are intended to help prevent bags from floating up to the surface while you’re cooking with your Sous Vide machine. These weights feature a 5 ounce stainless steel cylinder, which are held inside a protective shell that is constructed of food-grade silicone. The silicone helps to prevent the stainless steel from impacting the flavor of the food that you’re cooking inside the bag, so you don’t have to worry about your turkey breast, pork tenderloin, deviled eggs, dessert, or whatever delicious delicacy you may be cooking having a metallic taste. The silicone also makes the weights dishwasher safe, so clean up is a breeze. The SO-VIDA Sous Vide Weights are compact in size, which minimizes the amount of food they cover; therefore, they don’t impact the water flow in the bags and around your ingredients, allowing for even cooking. Using the SO-VIDA weights for Sous Vide cooking is pretty simple and straightforward. All you have to do is add one to your bag along with the ingredients you intend on cooking. Once the weights are in the bag and the ingredients are in the bag, seal it. If you intend on pre-prepping your food and freezing it, you would place the weight in the bag, seal it, and then freeze; the weights are freezer-safe. When you’re ready to cook the prepped meal, you just have to take it out of the freezer and set it into the water bath. We found that one weight was enough to prevent the bag from floating to the surface; however, there may be instances where more than one weight would be needed; for instance, if you are cooking several ingredients that are extremely buoyant, you might need to add another weight. We recommend placing the weights so that they are in the center of your ingredients. Doing so will prevent the weight from sinking to the bottom, which would make your food float to the top, rendering the weight useless. After trying out the SO-VIDA Weights, we found that they do offer some distinct advantages to the other remedies that have been suggested for preventing the floating bag issue that commonly occurs with Sous Vide cooking. Sous Vide Racks are another accessory for cooking with the Sous Vide machine. These racks are also supposed to prevent the bags from floating to the surface of the water bath, thereby allowing for even cooking. While we like the racks for cooking several items at one time because they keep a safe distance between the bags, if you’re only adding one bag to the water bath at a time, the Sous Vide Weights are better solution. With that said, we do suggest purchasing both accessories, as both the rack and the weights offer distinct advantages. 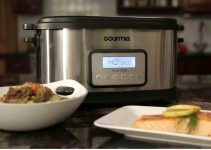 Therefore, if plan on cooking a variety of meals with your Sous Vide machine, then you’ll have the tools you need to ensure your food isn’t floating to the surface of the water, which will ensure that it is cooked through. Whether you’re new to Sous Vide cooking or you’ve been doing it for a while, there’s no doubt that you’ve had to deal with the issue of floating bags. 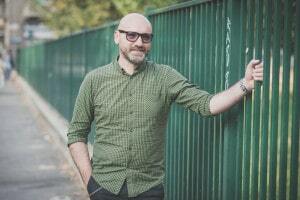 While there are a number of ways that you could resolve this issue, a lot of the suggested methods are tricky and not so effective. That’s not the case with the SO-VIDA weights. They are actually quite effective, and what’s more; they are easy to use. Do note, however, that it does take a little trial and error to figure out how to use the weights in a way that will work for your needs; but, there’s a lot of trial and error with Sous Vide cooking, now isn’t there? 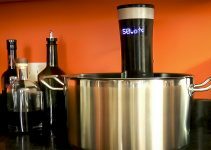 Bottom line: We would definitely recommend investing in a couple of sets of the SO-VIDA Weights, as they will certainly make your Sous Vide cooking experience a lot more successful (and more enjoyable).